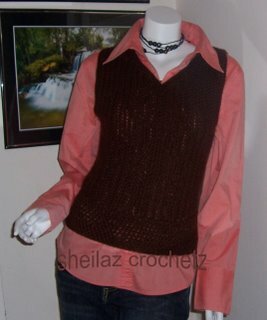 Here is a cute project I worked up in single crochet using Caron Simply Soft Chocolate Brown yarn. 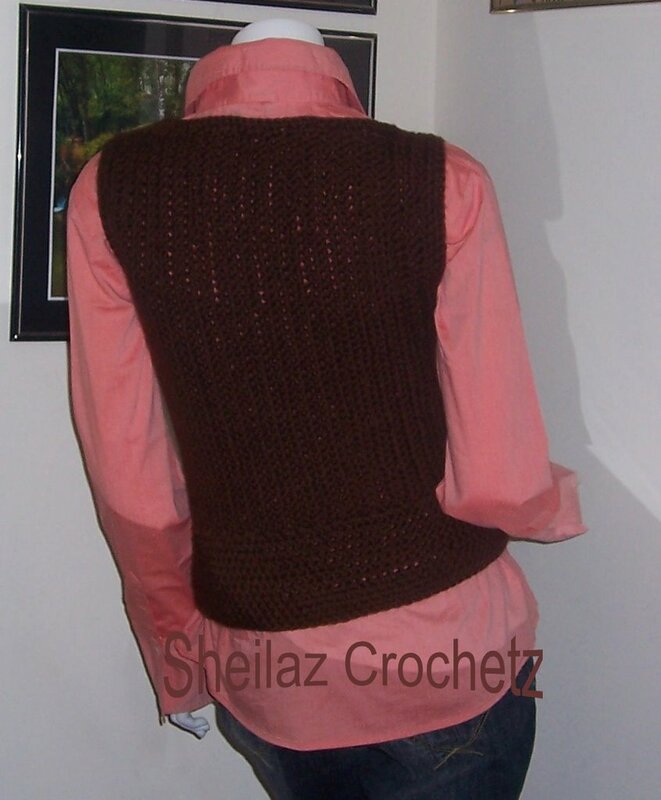 I love the look of this vest... it was done in 3 pieces and turned vertically before seaming together, then did a band at the bottom of the vest. Cute! someone sent me a couple skeins of the chocolate brown about 2 months ago (very rich looking) and no, I can't get that color here-go figure. 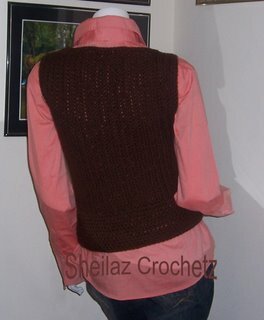 I'm lovin' that vest. How jazzy and classy. I absolutely adore Caron's So Soft. Its a wonderful yarn to knit with. I love that! I used to not be into vests so much, but now I love them. Great job!